In business, as in life, anything can happen, and it usually does! It is for this reason that as a business owner it is key to have the right tools available to make sure that should the unexpected occur then you are as prepared as possible. Improve That Price aims to be one of the tools in the arsenal of a business to be used to increase profitability and make sure there is a cash cushion available in times of need. Of course Improve That price is not the only solution but it’s certainly a way to help reduce one of the largest cost and if one can achieve that the the battle against rising costs is certainly winnable. colacoke.co.uk is a website dedicated to assist users who are looking for competitive deals on their Coca Cola purchases. It offers a direct link to www.improvethatprice.com, the price comparison site for all your wholesale catering needs including food and drink. http://www.colacoke.com is a website dedicated to assist users who are looking for competitive deals on their Coca Cola purchases. It offers a direct link to http://www.improvethatprice.com, the price comparison site for all your wholesale catering needs including food and drink. Improve That Price is a price comparison site as you may know should you been following these blogs. Our aim is to help small business improve the prices they are getting from their wholesale suppliers. We started with catering equipment, food and drink and there are several more categories in the planing, some will be going live soon. Our team is made up of people from the food industry and we understand the difficulties of running a business really well, with high costs being the one massive headache. It is really important for us to keep business up to date with new developments on our site as we believe that if you want to stay ahead of the game you need information. The more information we can provide the better your decision making will be. We will continuously update ITP with good quality, relevant and useful information to help business make those decisions. The latest news at Improve That Price is that we have just added a major new food and drink wholesale supplier, AtoZ catering supplies. The reason for these blogs is to spread the word as we feel small business needs to wake up to the fact that saving money is possible even if you are not a multi national company with big buying powers. The market is changing and becoming more transparent so if you want to save you must compare your suppliers. The more businesses compare their suppliers the more the suppliers will have to compete for YOU, the customer. Improve That Price also offers a catering equipment category which is certainly not a category used daily by businesses but the savings can be substantial. From the hand stick blenders to the kitchen sink its pretty much all there. There is also a food category and several more are being currently developed. Will keep you posted. 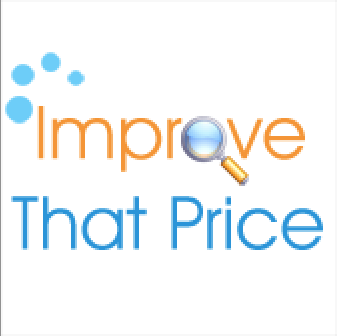 I am really pleased to say that we have more and more businesses signing up to our site daily and are receiving ever more requests from new suppliers to get listed on http://www.improvethatprice.com. It is a real joy to see that we are actually helping smaller business save money and to improve their bottom line. Its not just a matter of increasing the profitability of the individual business but the effects of improving profitability of a business have much larger implications to the well being of the people and the overall economy. It is true that small business is the backbone of the economy and therefore more should be done to help small business. Improve That Price is just a very small contributor but it is a start and we are working hard to increase awareness and spread the word. Improve That Price is a free service. Coca-Cola is a carbonated soft drink sold in stores, restaurants, and vending machines in every country except Cuba and North Korea. It is produced by The Coca Cola of Atlanta Georgia, and is often referred to simply as Coke. Originally intended as a patent medicine when it was invented in the late 19th century by John Pemberton, Coca-Cola was bought out by businessman Asa Griggs Candler, whose marketing tactics led Coke to its dominance of the world soft-drink market throughout the 20th century.